My wife and I were invited over to a new mutual acquaintance’s house the other day. 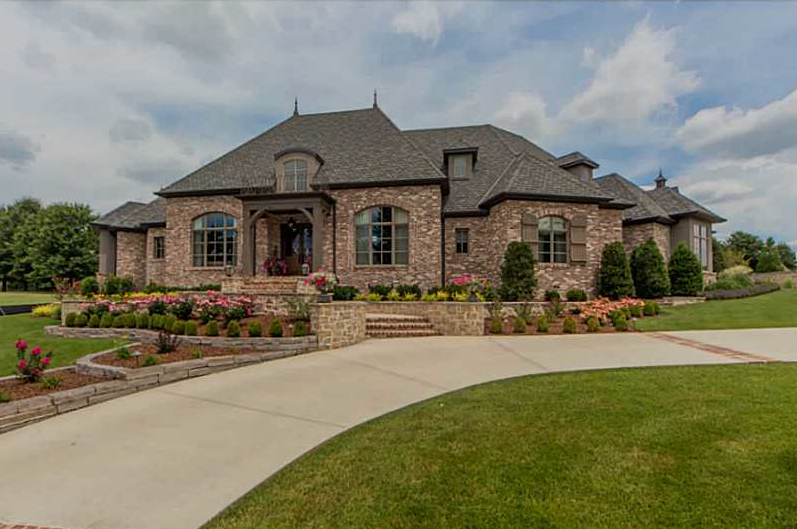 The house is in a nice subdivision… really nice. As in, 4 beds 4 baths 3518 sqft… $500k+ house. Just looked it up on Zillow. Many of the houses are even bigger, with better views. Some of them are $1.5M+. There’s one that’s $4.8M, 8-bedroom and 15000 sqft. That’s crazy. Anyway, that’s just to give a feel for where we were. As I drove through the subdivision, I got a little inspired. Motivated. Then we got to the house and spent about 1.5 hours with our acquaintance. The entire time we were there, she was moving, running, hectic… so busy. She had other guests over too, and I got to observe her interactions with them. It was crazy. For one, I noticed a definite scarcity mindset. …but H *was* worried about it. Otherwise, she wouldn’t have made a big deal about it. Or she would have just gone with the $100 and been ok with it. The other guest was her friend, and H was obviously pretty well off. I mean, the cabinets were stocked, completely filled, with expensive ingredients, raw food ingredients especially, and exotic spices from Africa, all over the world. Yet she was worried about being reimbursed a few bucks here and there by a friend. Another thing – probably the biggest – is how her sense of “fairness” came across. We were there to juice carrots — the reason we got invited over. Ok, sure, it should be a fun afternoon, we’ll hang out, get to know each other and juice. We’re all into raw food and healthy living and eating. But it really felt like she definitely wanted to get her “money’s worth”, so to speak, for having us over. Almost like in her mind, our role was to juice the entire bag of carrots and in return she’d give us some juice and we’d be “good”. Even. Really awkward time, seemed like an exchange-based relationship. But we had no idea going into it, that it would be that way. I mean, she was our yoga teacher, we were just chatting about health and raw foods after class, had some mutual friends and really thought that we could have a good time and maybe bounce some ideas off each other, share some knowledge, recipes, etc. But, now that I know… I’ll obviously be avoiding such “exchanges” in the future. I mean, she did used to be an attorney, and maybe that’s given her the kind of mindset that she has today. But it’s sad. Really sad that, with all her money, *I* have more freedom than she does. Her husband’s tied to a job, and obviously their lifestyle requires it or he wouldn’t be working. Why would anyone? All that money and that big house. Lavish lifestyle. And she’s not free. And I don’t envy her. I’d much rather be carving my own path, making my own way now, than accustomed to a lavish lifestyle and reliant on an income that I don’t directly control. And she seemed jealous. Maybe because she’s not free. Maybe because I get what she doesn’t have. Could I have a house like hers? Maybe. Eventually, if I took a $100k software job and saved up or started a successful business, of course I could. But I don’t get to have that right now, and that’s ok by me. I get something much more valuable. I get what they don’t have. My freedom.